The E60/E63 M5/M6 intake system is designed to make a positive impact for the whole driving experience. By taking advantage of aerodynamic principles and using computational fluid dynamics to optimise the airflow, we have engineered an intake system which delivers on all fronts – sharpened throttle response, more torque and power, improving driveability and of course, an amazing V10 induction sound. 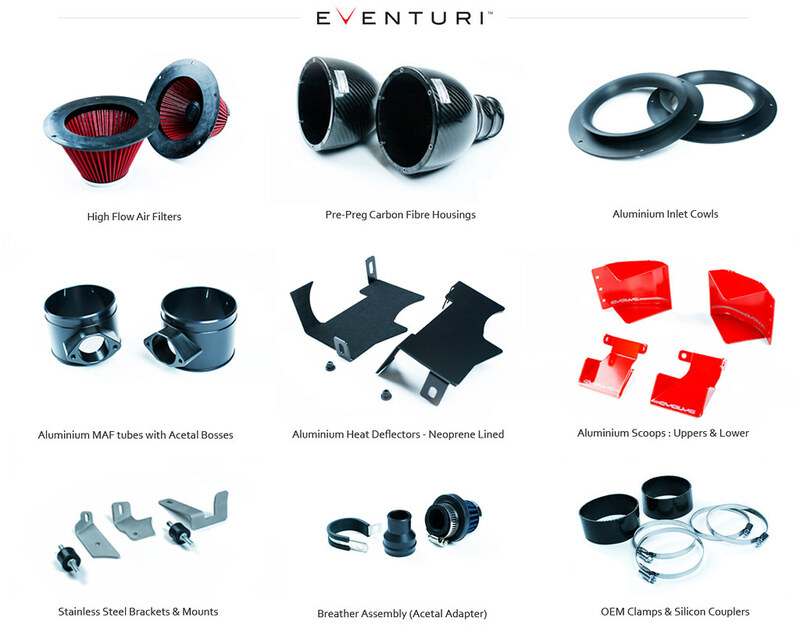 The S85 Eventuri system uses our Patent Pending Carbon fibre Housing which provides an aerodynamically efficient airflow path from the filter to the MAF tube. Not just another cone filter with a heat shield but a unique design which invokes the Venturi affect. You can read more about the housing design and how it works HERE. 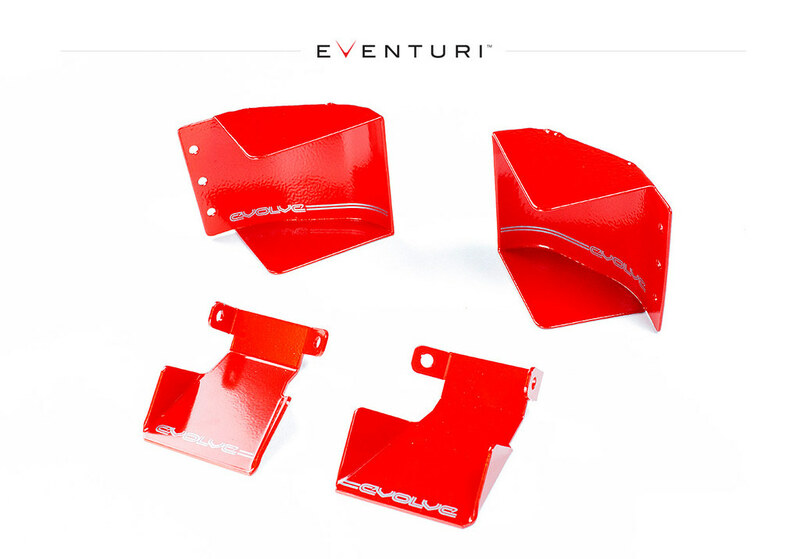 Below is a dyno graph showing the comparison between the Eventuri and the stock airbox on a stock E60 M5 with stock map. The stock airbox tested is Euro spec with charcoal delete and euro filters so is less restrictive than the USA version. As you can see, power and torque are increased through a large portion of the rpm range not just at the peak. This is instantly noticeable on the road as the car feels sharper, more eager to drive even in the mid-range. The testing was done on the same day back-to-back and temperatures were monitored to ensure consistency. 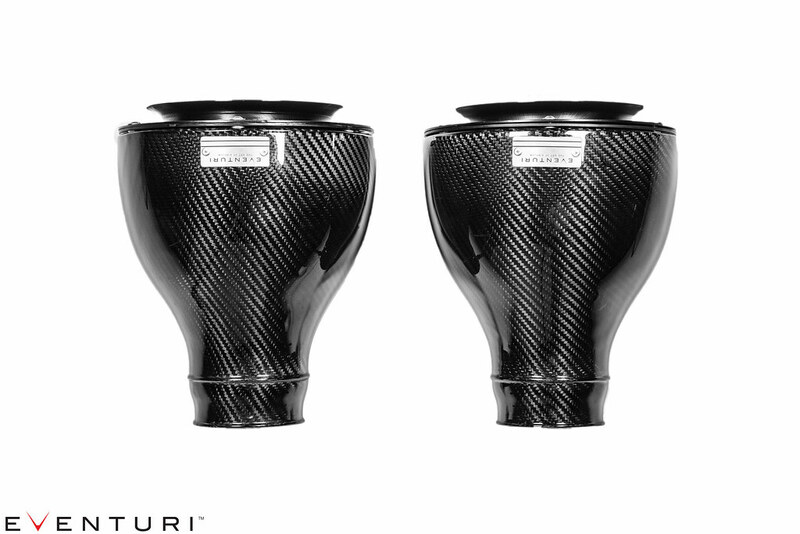 Made from 100% Prepreg Carbon Fibre of the highest quality, the craftsmanship on our filter housings is second to none. 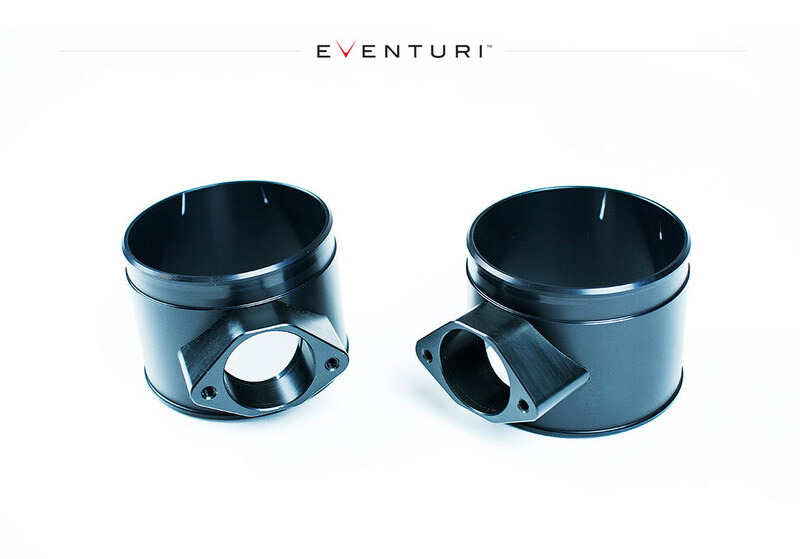 This encapsulates the filter and is mated to an aluminum inlet cowl to ensure a smooth inlet flow path. Laser cut from aluminium and then powder coated, there are 2 scoops which located behind the front nose grills and another 2 which locate in the lower brake ducts. The front scoops are curved to smoothly direct ambient air into the stock ducting which then displace heated air from the intake area. The 2 lower scoops direct ambient air directly into the mouths of the intakes. The MAF tubes are CNC machined from aluminium and then anodised. The MAF boss itself is machined from an engineering plastic to minimise the heat soak into the sensor through conduction. All dimensions are tightly toleranced to ensure the MAF sensor works as intended. There are 2 aluminium heat shields with neoprene lining. They locate on the engine side of each intake and effectively deflect hot air from the radiator - especially when the fan comes into operation. 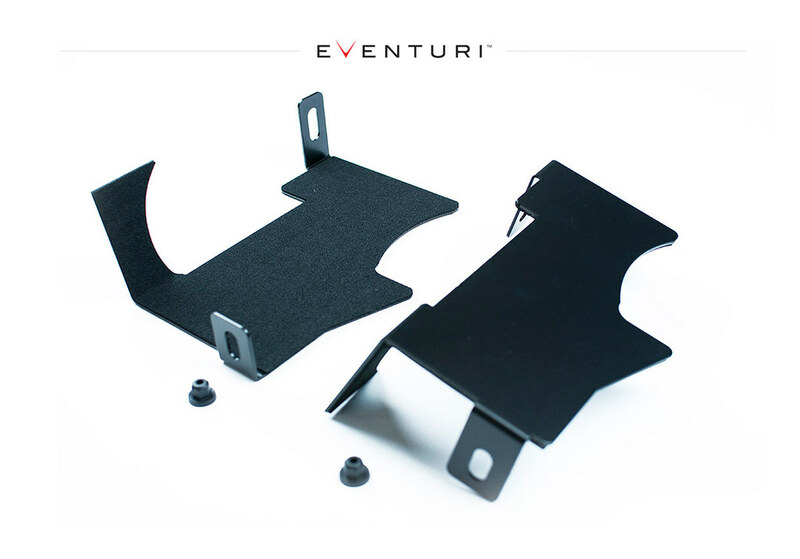 The mounting brackets are precision made to ensure a secure and exact fit. 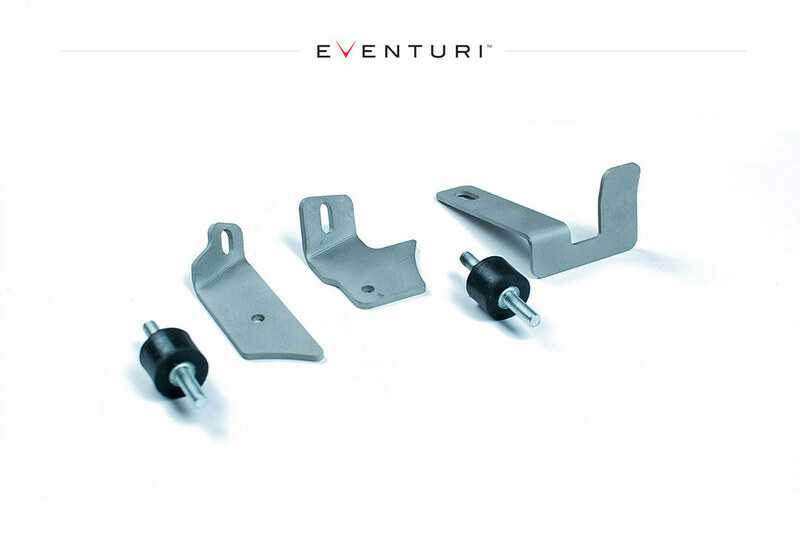 Both housings secure to anti-vibration mounts and the third bracket is to secure the washer filler on the E60 M5. Please download the installation manual here.